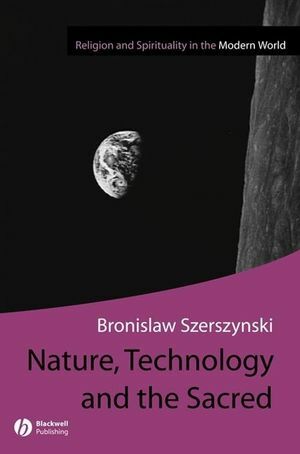 This provocative and timely book argues that contemporary ideas and practices concerning nature and technology remain closely bound up with religious ways of thinking and acting. Using examples from North America, Europe and elsewhere, it reinterprets a range of 'secular' phenomena in terms of their conditioning by a complex series of transformations of the sacred in Western history. The contemporary practices of environmental politics, technological risk behaviour, alternative medicine, vegetarianism and ethical consumption take on new significance as sites of struggle between different sacral orderings. Nature, Technology and the Sacred introduces a radically new direction for today's critical discourse concerning nature and technology – one that reinstates it as a moment within the ongoing religious history of the West. Bronislaw Szerszynski is Lecturer in Environment and Culture at the Centre for the Study of Environmental Change and the Institute for Environment, Philosophy and Public Policy at Lancaster University. He is the co-editor of Nature Performed: Environment, Culture and Performance (Blackwell, 2003), Re-Ordering Nature: Theology, Society and the New Genetics (2003) and Risk, Environment and Modernity: Towards a New Ecology (1996). Points towards a new framing for today's critical discourse concerning nature and technology, as a moment within the religious history of the West.